Over the last few months, we've searched high and low to bring you the best Family and Educational games from across the globe in a variety of subjects and categories. Today, we're giving you an insight to the world of Literacy and words! So...why is Literacy one of the most important parts of life and growing up? Literacy is often seen by others as simply reading and writing, but in fact, this is only a fraction of what it involves. Literacy is also language and communicating. It's sitting down with a friend and having a conversation about the weather or yesterday's lunch, it's completing your homework and it's most definitely using your imagination! Literacy is essential to get through life both as a child and an adult. As always, there's never a cut off point to stop learning, which is why we've compiled this list of our top 5 Must -Have New Literacy Games from this year's Imagination Gaming Awards for you to try out! StoryLine is a collaborative storytelling game that uses two card decks to shape the story. The narrator deck determines the broad strokes, while cards from the story deck fill in the details. Each turn, the narrator reads a card from the narrator deck, and every other player chooses a story card from their hand that matches the element asked for. The player whose suggestion is chosen earns a reward, while the narrator shifts to the next person. Scary Tales offers an engaging and wholesome experience for the whole family. Beyond simply providing entertainment, StoryLine encourages engaged reading, inspires creativity, and makes memories. There are two different versions of Pass the Bomb, one of which being a junior version! In Pass the Bomb, players nerves are tested to the limit by the threat of the ticking bomb. In turn players must shout out a word that contains the letters on the card and pass the bomb before it ‘explodes’. The game starts when one of the cards is turned over and reveals between two and four letters. The die is rolled to determine whether the letters that are on the card has to be at the beginning or end of the word, or no restriction (meaning they can appear anywhere in the word). Pass The Bomb Junior is a truly brilliant game where each player in turn has to think of an object that might be found in the picture on the card. What makes this game unique is the ticking bomb which each player passes on after their turn – they have to be quick because nobody knows when the bomb is going to explode! The suspense is what makes this game extremely fun and the ticking sound from the bomb really adds to the pressure of it all. If you’re holding the bomb when it goes off, you have to keep the card. The player with the least number of cards at the end of the game is the winner. We first came across North and South Game’s at UK Games Expo a few years ago now when he was exhibiting the first version of Rock, Paper, Scissors, Bang! Having introduced himself to Nigel he invited me and my then 10 yr old son to give it a go and subsequently gave us a copy to try at Imagination Gaming events. It proved popular as a tactical variation on a familiar theme that everyone knew, which therefore made it particularly useful with the many people we encounter who have never given these types of game a go. Dave Cousins, the man behind it all, describes himself as a father of two, house­husband and game designer/publisher, who publishes his own designs and also licences them to other publishers, trying to make this his sole profession.He has a deep passion about games, both digital and analogue but prefers to sit down and play a boardgame with friends and family over zapping things on a computer or console. North & South Games mission is to get more people (but especially families) playing (better) games together. That means progressing from simple roll and move games onto more interesting and challenging board and card games of all kinds. 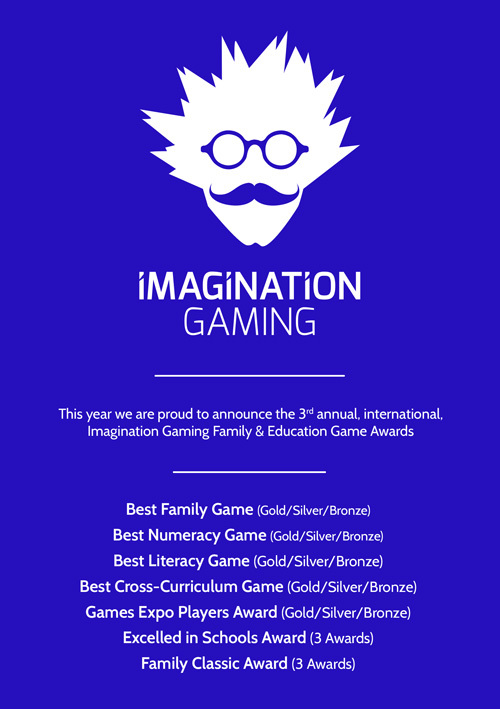 As such they are entering Terrain (soon to have an expansion) and Safebreaker into this years Imagination Gaming Family and Education Awards. 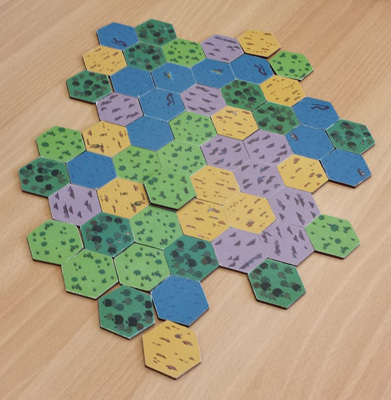 I personally have been playing terrain on and off for a while and love the idea, and considering the traditional style and very tactical mechanic it was great to recently get a group of eight year olds playing it constantly on repeat! Safebreaker is on it’s way and I look forward to playing it soon and seeing what the judges think. You can try them both, all this years awards games and many more at UK Games Expo with us in the Family Zone next month too! North and South Games have three games out currently, two more this year to be published in the summer and a third to be released in the Autumn. We first met Sean Byrne at the UK Games Expo several years ago. He came along to help out and brought his Mapominoes range of games. Along with his new maths game, Arithmanix, these proved really popular and he did a great job in talking people through the games. Then last year he introduced his geography game, Who Knows Where, which has a great game play mechanic that older children are loving. Similar to many classic quiz games this has however a number of twists that make it both a great game as well as an ideal activity in which to learn more about places and the world. 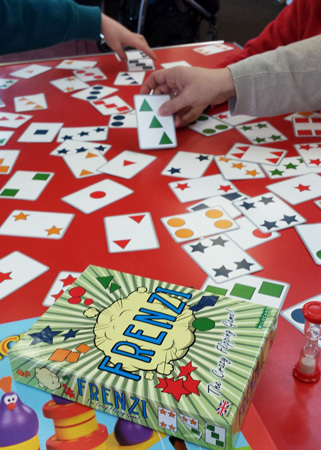 This year his new game is FRENZI. This is a big departure from many of their previous games and is a fast, card flipping game that utilises both observation and speed. As well as this, Wild Card Games have also submitted Mapominoes and Ah-harr! for consideration in our classic awards, Excelled in Schools and Family Classic respectively. We have seen the benefits of using both these games in the last few years and are happy to see them in this years awards. 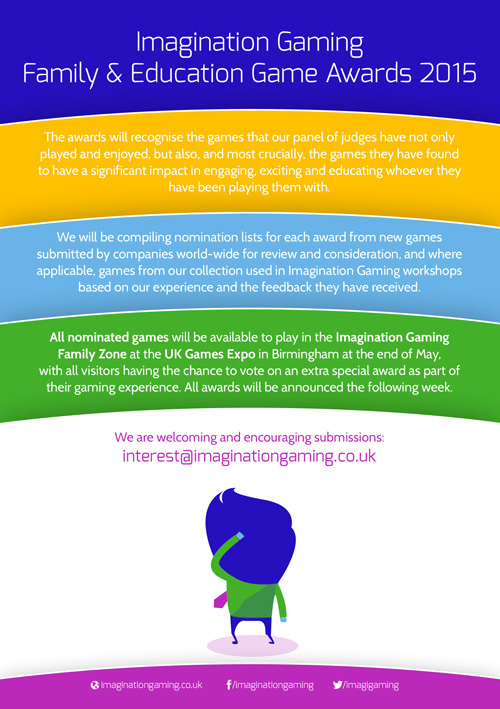 We are eager to get people playing this and see what they think and you too have your chance at this years UK Games Expo in our massive Family Zone at the end of May, so come along and let us know what you think!